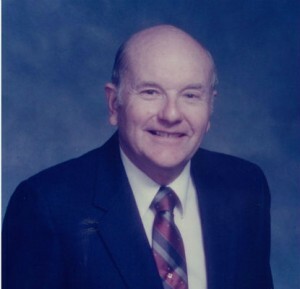 A memorial service for Charlie Thomas Simmons, 89, Athens is scheduled for 11 a.m. Saturday at First United Methodist Church with Dr. Faulk Landrum officiating. Burial will precede the service at 10 a.m. in Oaklawn Memorial Park under the direction of Carroll-Lehr Funeral Home. Thomas died Thursday, Feb. 14, 2013 in Athens. He was born March 11, 1923 in Willow Springs Community to Charlie Thomas and Billie Tempie Welch Simmons and was a lifelong resident of Athens. Thomas had been controller of Texas Clay Products 14 years during which time the company sold the brick to build North Park Mall. He then retired after a 20-year tenure as County Auditor. He had a lifelong love for cattle and had been a lifelong contributor and supporter of the Willow Springs Community and cemetery. Thomas was an active member of First United Methodist Church and Builders Sunday School class. He served his community in many capacities for many years. He was very active in reconstruction of Athens Country Club in 1986.He was a lifelong fan and supporter of TVCC basketball and football programs. Thomas was preceded in death by his wife of 63.5 years, Marcelle Simmons; son William David Simmons; and a brother John K. Simmons. Survivors include son Gary Simmons and wife Pam; daughter-in-law Deborah Simmons; granddaughter Sheradon Waits and husband Seth, Sarah Simmons, all of Dallas, numerous nieces and nephews. Honorary pallbearers will be Lester Kinabrew, David Finch, Billy Norwood, Judge Jack Holland, Charles McMurry, Nick Nichols and John Simmons. Visitation for family and friends will be 6-8 p.m. Friday at the funeral home. In lieu of flowers, memorials may be made to First United Methodist Church, 225 Lovers Lane, Athens, Texas 75751 or Juvenile Diabetes Research Foundation, 9400 North Central Expressway, Dallas, Texas 75231. You may leave a message of condolence or light a memorial candle for the family at www.carroll-lehr.com. 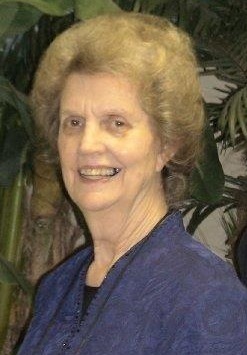 Graveside services and interment for Betty Weatherford Lathrop, 74, of Athens are scheduled for 3 p.m. Thursday, Feb. 14, 2013 at Zion Hill Cemetery with the Rev. Rod Milsap officiating. Mrs. Lathrop died Wednesday, Feb. 13, 2013 in Athens. She was born May 22, 1938 in Brownsboro to Henry Clay and Dovie Irene Harrison Parker and had been a lifelong resident of Athens. Betty loved being with family and watching her grandchildren grow up. She also enjoyed shopping for clothing every Thursday. Betty was preceded in death by her son Harold Ryan Weatherford in 1957. Survivors include son Jerrell Weatherford, Martins Mill; daughters Brenda Gauntt and husband Floyd, Oklahoma, Leah Jumper and husband Wayne, Athens; brother Henry Parker, Tyler, Harold Parker, Athens; sister Mollie Williams, Lometa, Texas; seven grandchildren, 13 great-grandchildren and numerous nieces and nephews. Wanda Kirk Davis, 75, of Athens, passed away Feb. 11, 2013 in Houston surrounded by her loving family. Wanda was preceded in death by a son, Alan Kirk Davis, and sister Mae Dean Johnson. Survivors include husband Rev. O. E. Davis; daughter Sharmon Young and husband Dwayne, Waco; granddaughter Stefani Worley and husband Brandon, Colorado City; grandsons Austin Young, Waco and Rolin Davis; three great-grandsons. Family will receive friends 6-8 p.m. Thursday at Main Street Pentecostal Church, 1635 West Main, Gun Barrel City. Services are scheduled for 2 p.m. Friday at the church in Gun Barrel City with Revs. Tim Weatheread, Stephen Daywitt, Chris Bankard, Ray Worley, and Danny Russo officiating. Burial will follow in Oaklawn Memorial Park in Athens under the direction of Carroll-Lehr Funeral Home. Pallbearers will be Dwayne Young, Billy Hosch, Brandon Looney, Waylan Johnson, Alonzo Cruz and John Disotell. In lieu of flowers, family requests memorials be made to Jesus Name United Pentecostal Church, P O Box 967, Colorado City, Texas 79512-7243. Service for Archie Greenhaw will be held 2 p.m. Wednesday, Feb. 13, 2013 at Huckabee/Tomlinson Funeral Home in Seven Points with Robert Dodson officiating. Visitation will be from noon to 2 p.m. before the service. Mr. Greenhaw was born in Aley, Texas Oct. 14,1938 to Elmer G. and Nell (Bridges) Greenhaw, and died in Fort Worth, Texas Feb. 9, 1913. He is preceded in death by his parents; wife, Edith; son, Norman Burroughs Greenhaw; son-in-law Doug Prazak. He is survived by daughters, Kimberly Kay and husband Wasil Hajasad of Fort Worth, Lisa Ann Prazak of Fort Worth; step-son Harold Howell and wife Kim of Azle, Texas; step-son, Clyde Howell of Fort Worth; two sisters, Betty Hill, Melba Baker of Needville, Texas; seven grandchildren, one great-grandchild. Fred Augusta Christian died Feb. 9, 2013 in Athens. He was born May 7, 1923 in Claremore, Okla. to parents Fred R. and Myrtle Rutherford Christian. He was preceded in death by his parents; stepfather J.C. Holland; sisters, Marie Bennett and Shelia George. Fred is survived by his wife of 66 years, Billie Frances Christian; daughter, Lydia Haynes and husband Bruce; son, Larry Christian and wife Betty, all of Athens; granddaughter, Christi Stelter and husband Brandon, McKinney; step-grandsons, Larry Adair, Mexia, Tracy Adair, Center, Brad Adair, Athens, Shane Adair, Diboll and eight step-great-grandchildren. Fred was raised in Odessa where he graduated from Odessa High School. He attended John Tarleton College and later earned a bachelor’s degree and master’s in education and administration at East Texas State University. While at East Texas he played football two years. Fred served in the United States Army from 1942-1945 where he took part in the D-Day invasion of Europe. He was honorably discharged as a Staff Sergeant. 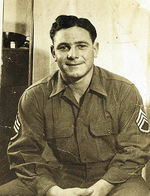 He was awarded the Purple Heart, Silver Star with clusters, Bronze Star with clusters and numerous other campaign awards. He valued his military service very deeply and was even able to play football while in occupation. Fred served a 35-year tenure with Ector County Independent School District as a teacher, coach and retired as Transportation Director. He was proud to have been on the Permian High School coaching staff. He was president of the Texas Association of Pupil Transportation on two occasions. He served as an official for the Ector County Teachers Credit Union. Fred loved raising Quarter Horses and was a director of the Ector County Rodeo Association. His other hobby’s included watching football games. He devoted several years as a volunteer Deputy Sheriff with Ector County Sheriff’s Department. If desired memorial may be made to Genesis Hospice, 201 St. Thomas Athens, Texas 75751.